to collect her winnings and take a snapshot with Jon. 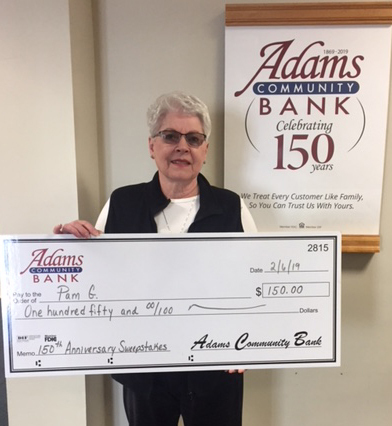 Donna P. was the lucky winner at our Lanesboro Branch for the month of March drawing. Congratulations, Donna! at Thunderfest in our Anniversary Sweepstakes. Simply see an ACB team member for an entry form. drop the form into the box. All persons 18 years or older may participate. No purchase necessary. Limit one entry per day. Employees and immediate family members will not be eligible for this monthly sweepstakes. 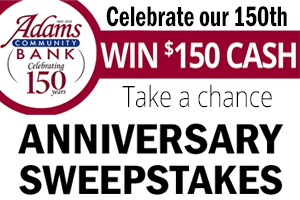 Each month, all entries received in the branches will be combined and ONE winner will be randomly drawn. Winners will be notified as instructed on entry form (phone or email) within the first week of the following month. 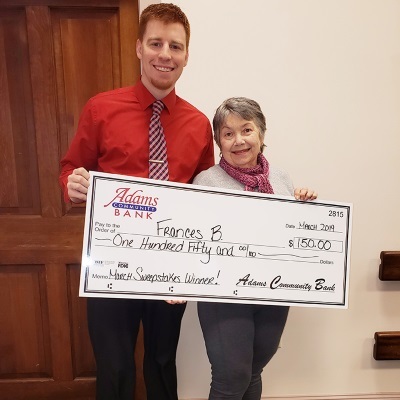 Winners must pick up winnings in person at one of our branches. 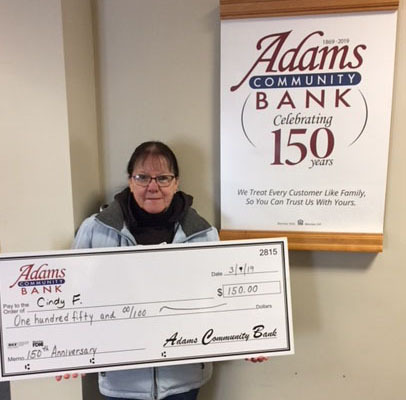 By participating in this FREE sweepstakes, winners agree that Adams Community Bank may publicize their name and/or photo on our website, social media and in our lobbies. Share your ACB history with us! 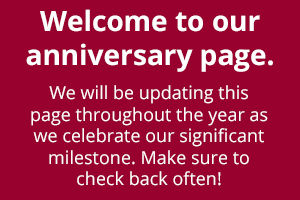 Are you a long-time customer or are you new to ACB? 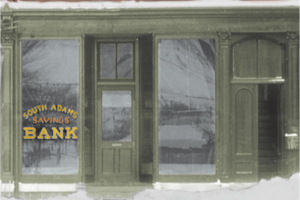 Has your family been banking with us for generations? 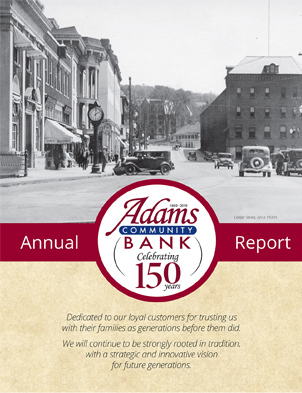 We’d love to hear your ACB story, please share by email to rmoser@adamscommunity.com. personal information. There are no time limits or other restrictions for the use of this information. as generations before you have. 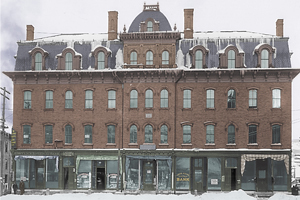 These photos were taken in the late 1890’s when South Adams Savings Bank Office (top) was located in the Collins Block (bottom).